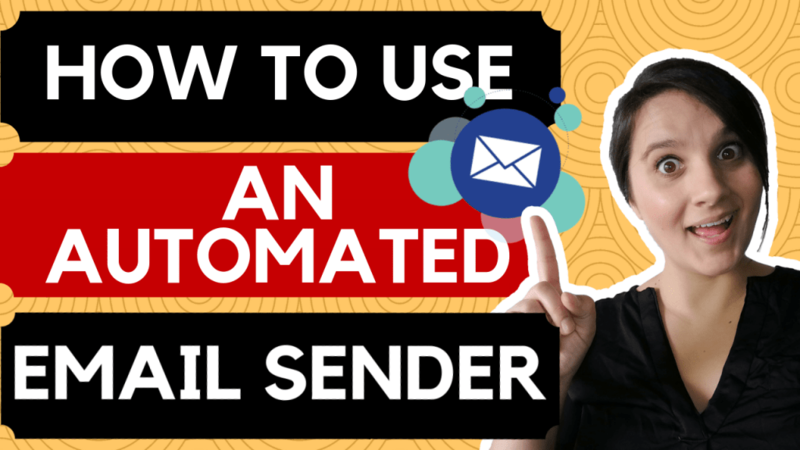 If you want to know how to use an automated email sender, how to set it up, the software to use and the theory behind it… then you this video and article is for you! First, you should go into your software and create a “New List”. This will be where all of your new leads will be collected and stored. Be sure to consider whether double opt-in or single opt-in will be better for your business/offer. Double opt-in means they will need to click a link sent to their email to confirm their subscription. A single opt-in will automatically subscribe them after they submit their email – no confirmation needed. Why would you choose double opt-in? People who double opt-in are usually more engaging and responsive. Where as, with a single opt-in there is less friction to sign up so your list grows much faster. Double opt-in you will make your money by banking on people engaging with your content. Single opt-in lists make money by sheer numbers (approx 2% conversion rate). You’ve probably seen people “giving away” their free things all over the internet. The reason why most people do this, is to get your email or contact information. That’s exactly what you should do to automate your lead collection process. But first, you need a landing page and email form to begin collecting the emails. If you’re not sure how to do any of this, I highly recommend to watch this video that I created which shows the exact steps in Builderall (my favorite website builder). Now that you finally have your subscribe form automated, you need to automate the emails. Create an “Email Sequence” in your emailing software and give it a name that will make sense to you for a later date. I recommend you first email in the sequence to be the email that delivers the “free thing” that you gave subscribers for signing up. Be sure to set the timing settings to send “immediately after subscribe”. This makes sense from the visitors point of view. Next, you should follow up with 4 or more emails. As I describe in the video tutorial, I usually send 3 emails of free value, then on the 4th I pitch them to buy something or schedule a call (depending on your offer). It is also important to note that most email marketers will follow up even further as statistics state: an average person will not buy from you until the offer has been presented to them at least 10 times (that’s on average). Now that you know how to use an automated email sender, if you found this useful, please be sure to share it with others. Want to learn how to use free SEO Techniques to gain more traffic and leads to your web page? Grab my free SEO For Bosses Checklist – 5 Key Points that will drastically increase your Google Search ranking.